Journalism Research News will take a break from monitoring and writing about new research. Our news feed, as well as the newsletter and job announcements will return on the second week of January. This year has been exciting. We’ve written short stories about research and spread info on CFPs and new books, almost 700 published pieces in total. We have also opened a job announcements page, made small adjustments to the website and continued with our video interviews. If you’re looking for something to read during the hiatus, take a look at our monthly lists of research. We would like to thank all our readers and followers for your time, and valuable feedback that you have given us. 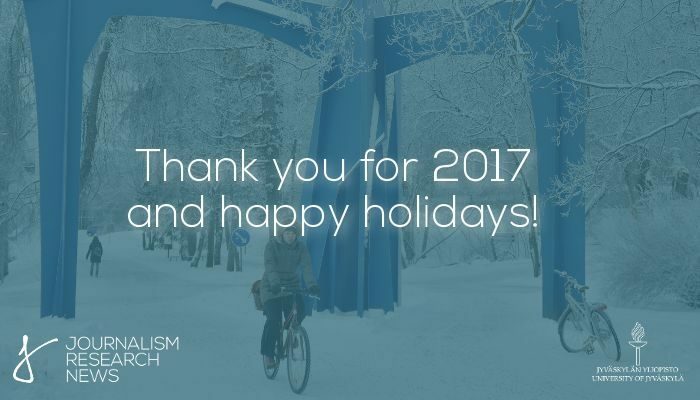 Happy holidays, happy new year and see you again in 2018!